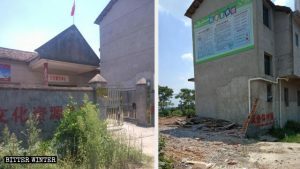 When it comes to demolishing churches and temples, the Chinese Communist Party (CCP) is up to its all tricks: Destroying the holy sites for made-up reasons. 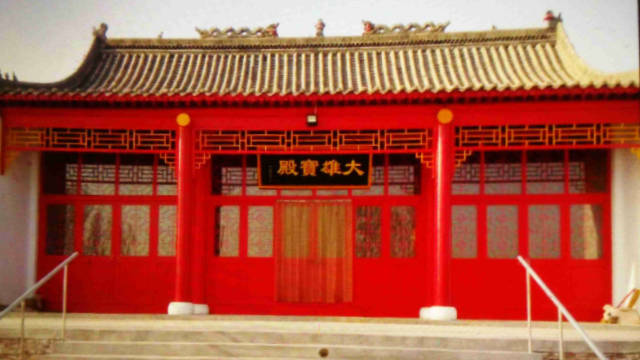 For instance, on December 16, 2018, the Municipal Party Secretary of Taizhou city, in eastern coastal China’s Zhejiang Province, visited a reservoir in Ningxi town to conduct an inspection and, upon seeing there was a Three-Self church, named Xiaokeng Church, next to the reservoir, he instructed the town’s mayor to demolish it. The original appearance of Xiaokeng Church. Naturally, the believers pointed out that they had permission to build the church, in that spot, with town government permission. If the church was truly polluting the water source, why did the government allow it to exist next to the reservoir? And for more than 20 years, no less. 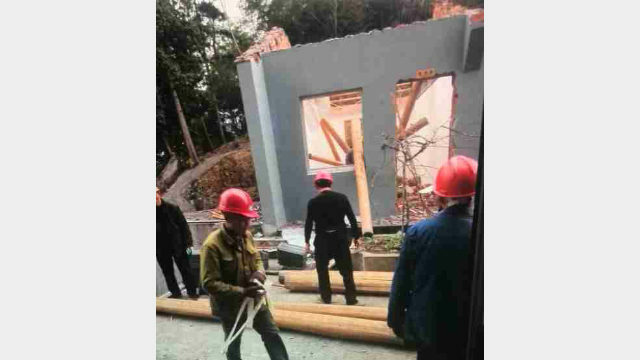 Workers are in the process of demolishing Xiaokeng Church. “The municipal Party secretary is the first in command. He can do anything he wants,” the town mayor said in response to the believers’ questions. 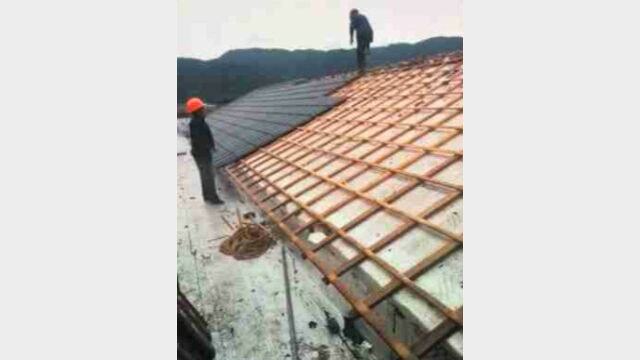 The roof of Xiaokeng Church is being dismantled. The next day, the church’s head and elders went to negotiate with the town mayor and the district’s religious section chief to keep the church. But the religious section chief remained firm, saying the church was illegal and must be demolished. 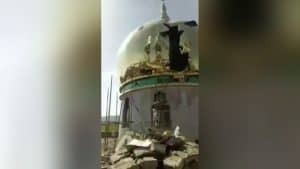 In order to assuage the believers, the chief promised compensation after the church had been demolished, but on the sole condition that the church members do not oppose the destruction. The demolition of Xiaokeng Church in the process. The head of the church requested a promissory note for compensation but was refused. Guess who didn’t hold up his end of the “bargain”? The skeleton of Xiaokeng Church before it was destroyed completely. 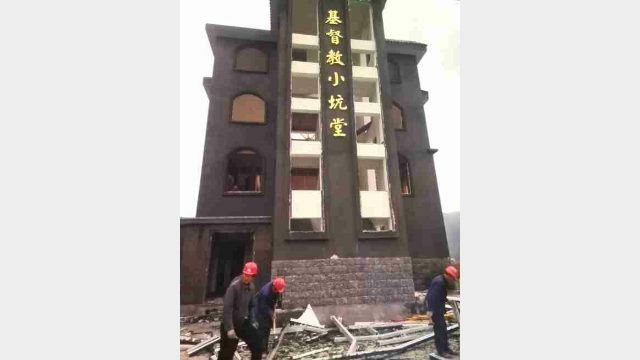 On December 18, demolition of the Xiaokeng Church began – and ten days later, it was razed to the ground. 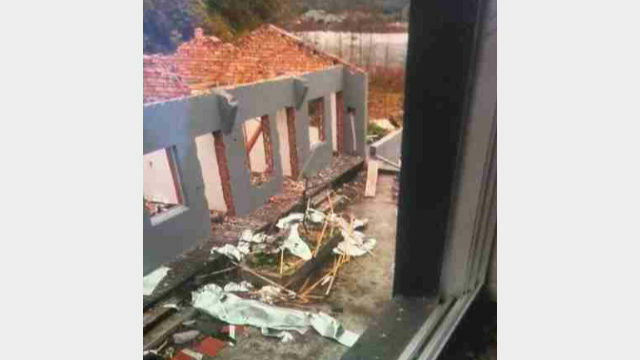 Xiaokeng Church has been razed to the ground. The church had a long history, one that spanned more than 100 years. 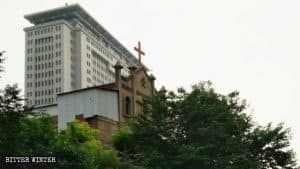 In 1990, it was moved to the present location after the reservoir was expanded and, in 2015, due to old age, the church was rebuilt on the original site with 5 million RMB (about $741,300), which was voluntarily donated and raised by believers. 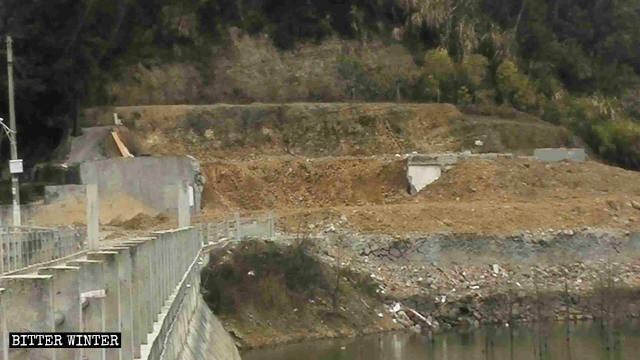 “There are villagers’ houses next to the reservoir, and they weren’t demolished. Only our church was demolished. This is persecution,” one church member said. “Now that the church is gone, we have no choice but to rent an iron-sheet cabin to hold our gatherings. The rent costs 18,000 RMB (about $2,668) per year,” another believer said. 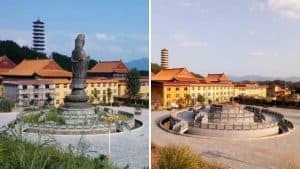 On October 18, authorities in Hebei’s Shenzhou city dispatched about 30 demolition workers to destroy the Puguang Temple, which resulted in 12 Bodhisattva statues being destroyed. 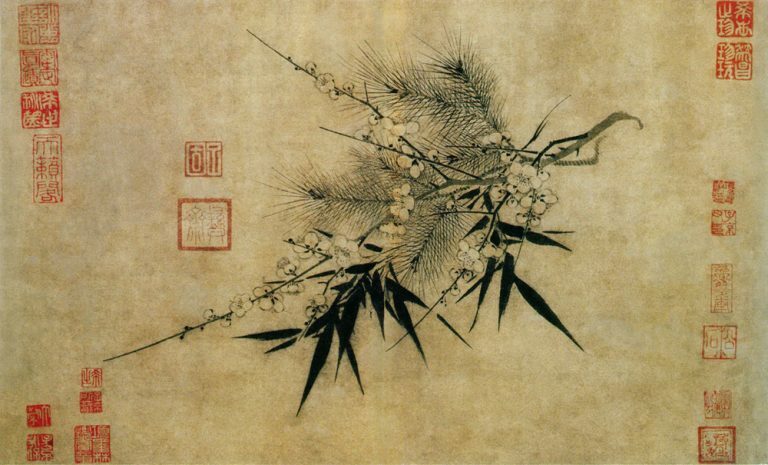 The original appearance of Puguang Temple. Three days later, the temple was turned into a pile of rubble. But if you ask local elderly villagers, the site of the temple was not farmland as no crops had ever been planted there. 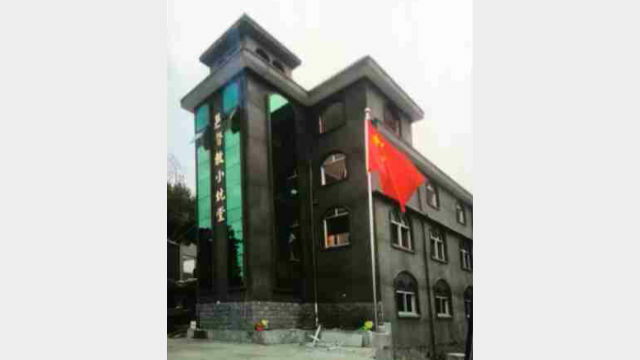 And like the Xiaokeng Church, it, too, had received permission by the township government to be built. 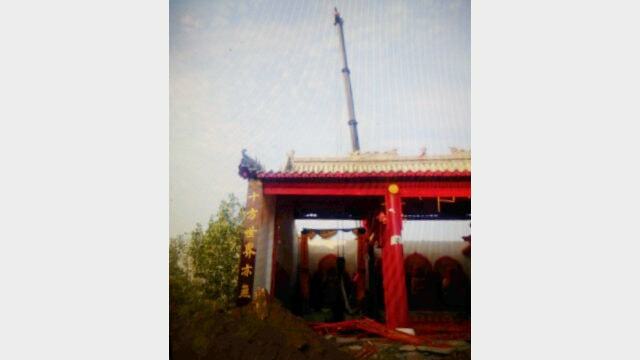 A crane lifting the Buddhist statue while the hall is being demolished. 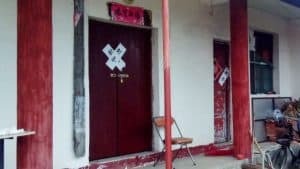 According to sources, between June and August 2018, authorities repeatedly pressured the temple’s owner, even going so far as to issue a notice ordering her to have the temple demolished herself prior to a specified date or else be fined 200,000 RMB (about $30,000). 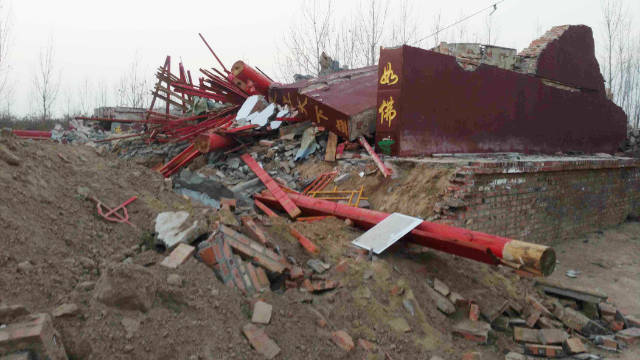 The Puguang Temple has been turned into a pile of ruins. Because politics always wins in China. “The demolition of crosses and churches is related to politics, but the government won’t tell you that. They will find lots of reasons, such as saying, ‘According to building laws, or according to advertising and trademark laws, the cross or the Buddha statue exceeds the standard height,’ but in fact, it is due to political reasons,” one government insider told Bitter Winter.